If you aspire to become a dog trainer or are searching for professional dog training classes of the highest quality, look no further than Dog Trainer College. Our team of expert trainers makes up our incomparable dog trainer certification school with police K9 training in Florida, offering you or your dog the opportunity to learn from the best. We can set up your dog trainer courses to reflect your interests and our dog training classes will have your dog behaving exceptionally well upon completion. What makes Dog Trainer College stand out from the rest is that they offer a wide selection of courses that fit perfectly with your area of interest. You will get access to a dog trainer certification school and police K9 training in Florida as well as courses focusing on the training of several different work and service dogs. When you take courses with us, you will leave our program feeling properly prepared to take on the dog training industry. If your pup is scratching at your legs or can’t seem to stop barking at the mailman, then it may be beneficial to seek out professional dog training classes. 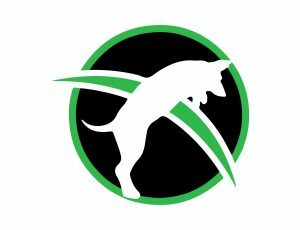 At Dog Trainer College, we have a team of professionals that will provide your dog with the training he needs to improve on life skills and achieve excellent behavior. From basic obedience to training in a field of service, your dog will be given only the best training from Conifer Canine. Whether you’d like to become a dog trainer or enroll your dog in professional training classes, Dog Trainer College can help. Call 812-650-2394 to get more information on courses!